Hi everyone, I have recently brought a 2004 Mazda 3 sport saloon 04, I have lived the shape for a while. My question is in regards to the front fog lights, on my stalk I turn the lights on (not full beem) then turn the inner collar for front spots and again for rear fog, the rear fog is working fine but nothing out the front and does not show up a light for front fog lights on dash but does for rear. I have noticed that there is no clicking sound from relay when I turn on. So I swapped relay from horn over as they use the same one, still no joy. Checked fuse and swapped and still nothing. Then went under car and checked if power at bulb connector and nothing. So pulled out fuse and there is power on one side. So next checked the relay socket. Ok so no ignition one only one live. Turn ignition one and still one live, turn lights on (not fog lights) and now there is 2 lives. Turn front gigs on and still only 2 lives. Am I missing something? Should there be power there from normal lights? Should there be a 3rd live when figs turned on?? Does anybody think it may be the indicator stalk as when I turn them on there is no light on dash to say there on and can not here relay click? I think you may have answered your own question. If you have done a sequence check, as you obviously have, then perhaps the stalk is possibly the answer. I'm no electrician so I'm afraid I can't be more specific. But logic seems to indicate this. Good luck and lets us know the ultimate out come. One last thing. Is your car a saloon or hatchback ? Post says saloon, profile says hatchback. Edit : Thank you. I have changed your profile to reflect this. There is only one fuse and one relay for these isn't there? (Under the bonnet)? You are quite correct there is only one fuse No.20 fitted with a 15 amp fuse. 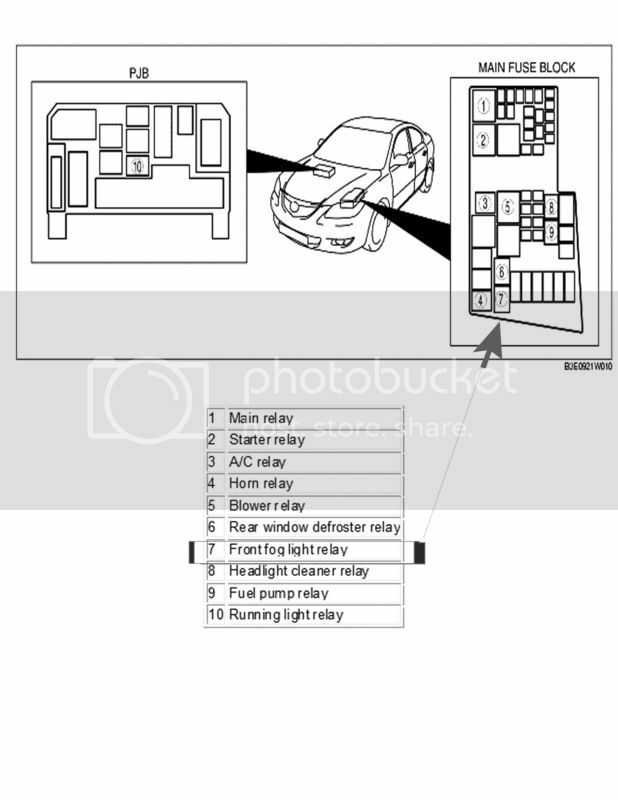 However as you say, there is also the Fog Light relay in the same fuse box, see diagram below . This is certainly worth checking.